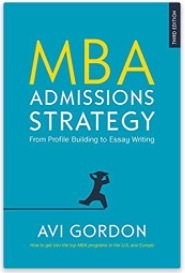 A lot of MBA admissions ink has been spilled on Wharton’s team-based discussion, so let me just say this: the form is different to a classic interview, but MBA adcom’s goal is the same. That is, they are looking for the same things they always were – the bright, personable applicant who stands out as a communicator and a beacon of good values, while being highly driven and achievment-oriented. As they are looking for the same thing b-schools have always looked for, it is a bit of pouring old wine into new bottles. You prepare yourself in all the same ways as before, but in this case an additional familiarity with the team-discussion format is no bad thing. 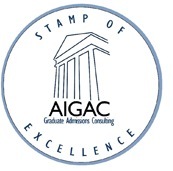 The Wharton interview format is part of the cat-and-mouse game between MBA adcoms and admissions advisors, where adcom seeks a format less prone to preparation and admissions advisors respond by adjusting their menu. See this Wharton Premium Interview Preparation service ($500) from Accepted.com which I’m happy to be associated with. Look across the interview reportbacks that are freely available on the Web. This will give you a flavor of what to expect. But don’t over-focus on a specific question that appears to “come up” a lot for a particular school. By all means prepare yourself for it, but don’t bank on it. Do, however, focus on the questions most candidates are asked most commonly. This is the 80-20 rule in action: a few common questions are asked again and again, and these questions are not a secret. They are ones you should be able to recognize by now: “Walk me through your resume; Why do you want to do an MBA; Why here; Why now; How will it help you towards your (What is your) career goal, short term and long term; How will you contribute to the program; What do you bring to the program that is unique? There are many other common questions, but these are the basics. If you are deeply prepared on these, for the rest as long as you don’t roll over any landmines (aka red flags) you will do well. What’s a landmine? Space doesn’t permit me to go too deeply into this here, but I’ve blogged about it consistently here over the years. Suffice to say, if you say something that moves you towards social prejudice or personal badmouthing or psychological instability or anything you wouldn’t want your mother to know, you’re probably too close to a landmine. Notice any persuasive politician, President Obama for example. When he talks he doesn’t say “average household food costs were better this year.” He says national food retail prices dropped 1.6% year-on-year, following 2.2% improved harvest yields in six breadbasket states despite a $12 per-barrel hike in the global oil price. Likewise, when talking about yourself, don’ t say “I have made rapid career progress recently.” Give the interviewer good reasons to believe you. Your other go-to proof device is use of story form. Don’t say you “faced many dangers” on a project. Say say you were off-site, starting at 6am with a rig inspection and ending at 10pm with your explosives assessment call to the Montana office. Stories naturally supply facts. They bring your real-world experience to life. And they are also easy on the listener. Everyone likes a good story. MBA admissions interviews are 30 minutes on average, so you don’t have a second to squander. It’s likely the admissions value from any story in your life can be captured in the first 45 seconds if you tell it right. So, prep yourself around short, illustrative career and life stories you can tell in under a minute.